Founded by Josef Wojnar in the 1930s, this delicatessen has produced spreads such as the widely popular Liptauer from the very beginning. In 1966, the business passed to his son and his wife. In 1999, the business was taken over by their daughters. In 2000, Wojnar’s moved from the 12th to the 23rd District in Vienna, where it continues to be based today, employing around 400 people. 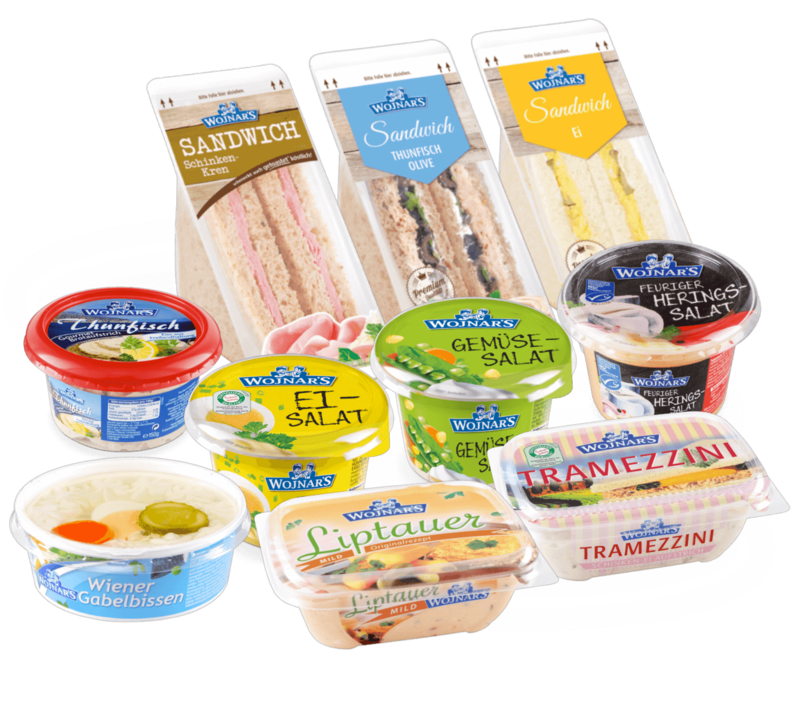 The company’s product range covers everything from spreads and salads to catering industry, delicatessen and convenience products. The company has premises covering a total area of 9,200 m2. In 2016, a total of 1,650 tonnes of rapeseed oil, 325 tonnes of margarine, 160 tonnes of herrings, 140 tonnes of butter, 15,9 million eggs (or 93 tonnes) and 1,600 tonnes of soft cheese were processed, resulting in 16,600 tonnes of finished products. This means that around 44 tonnes of finished products leave the production site every day. An average of 1,000 different recipes are prepared every week. The production facilities are some of the most modern in Europe. With 18 filling systems, not only are we able to create different portion sizes and shapes, we are also able to meet a wide range of different requirements in terms of freshness. Wojnar’s is one of the most famous family-run businesses in Austria, standing for top quality, taste and craftsmanship for over 90 years. We love, what is tasty.